Basic black is sometimes the most difficult colour to coordinate. The new range in at Hudson Furniture in Sydney's inner-city suburb of Annandale comes in the best shade of inky black, and features some distressed markings that add to the pieces' good character. 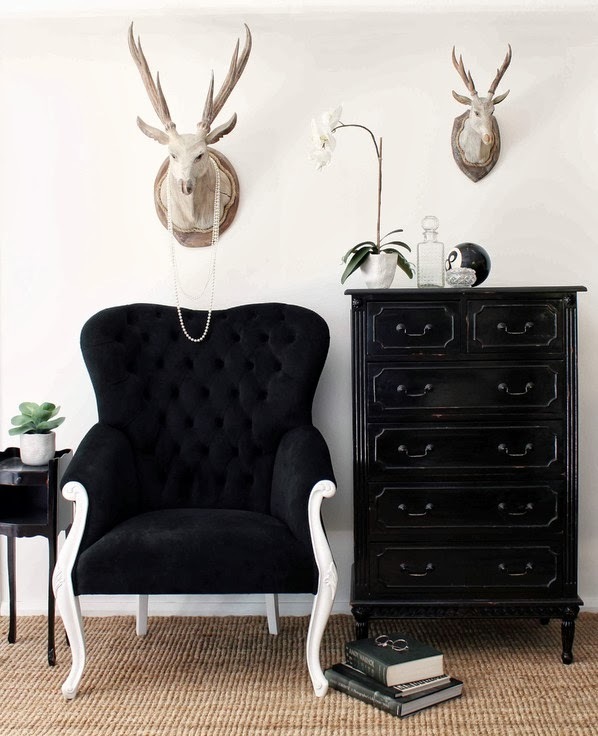 Here below are two examples: the Valliere armchair and the Provence tallboy.